Ton gave me this plant, which is named after his wife. 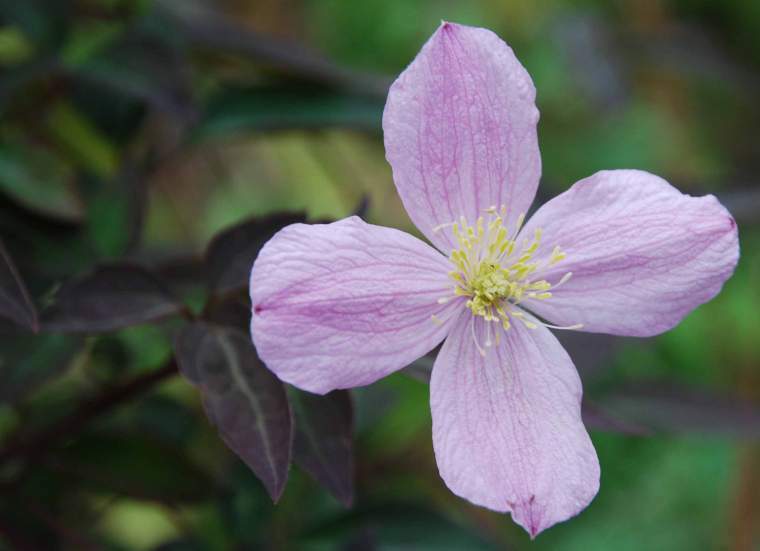 It is a beautiful clematis. 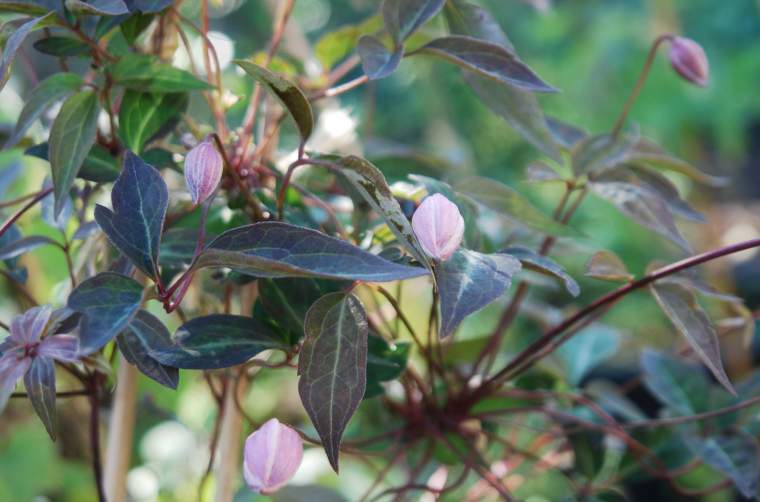 In Clematis International 2008 journal it is described as "Sepals 4, opening very pale purple (69C), turning white except along veins". 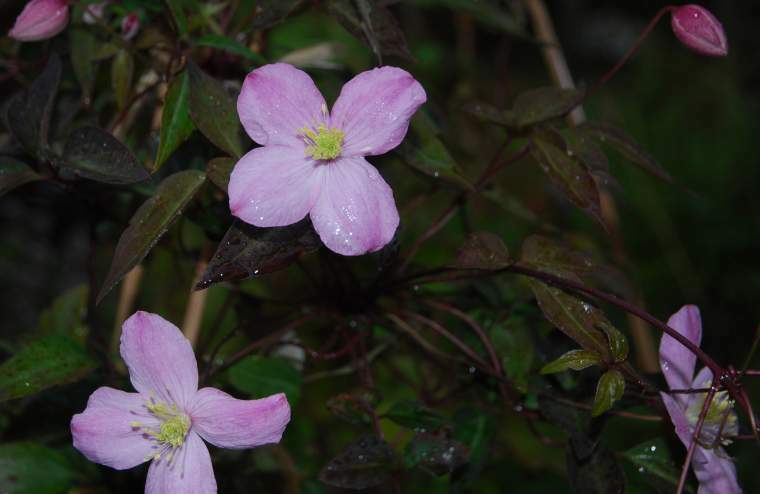 In my plant, the effect of this colouring in the veins is to make the flower appear pink. 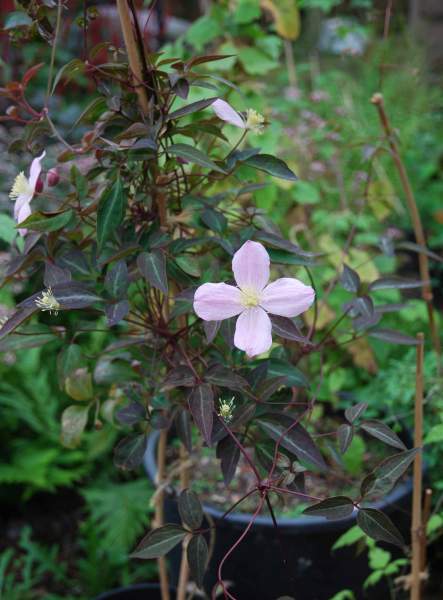 The pictures were taken in late July to end of August, which is quite late for a montana to come into flower. I do not know how hardy it is, but would like to plant it out in the garden.